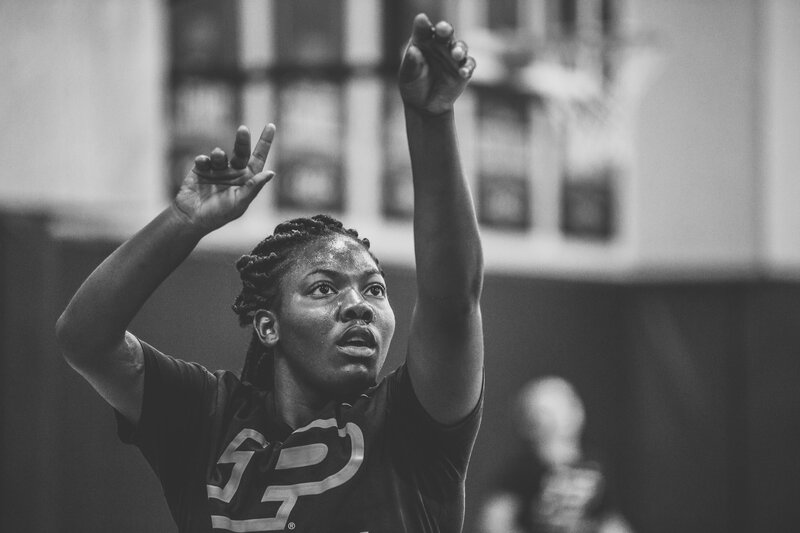 Ajah Stallings shoots with her left hand, which she has used to compensate for issues in her right arm. Photo courtesy of Purdue Athletics. 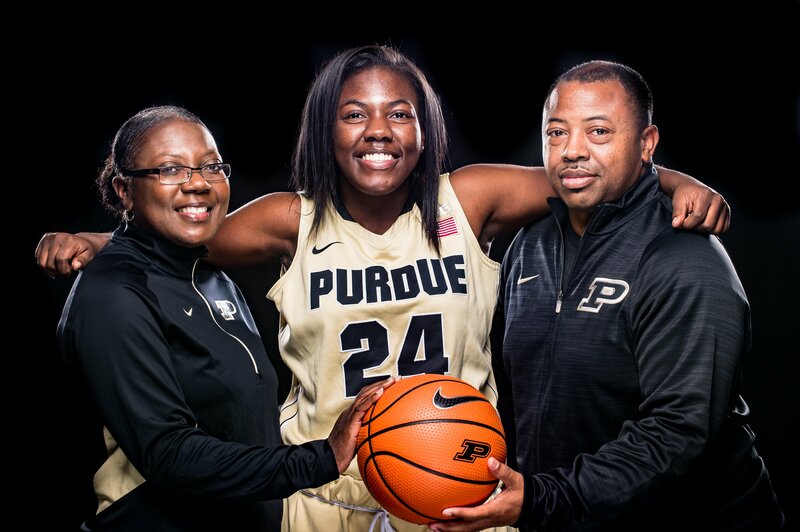 Numbers help explain Purdue freshman guard Ajah Stallings’ life: Three, 20, 3.8, 1.2, zero. Each represents a different aspect of her story that together, tells it all. Three. That’s the number of surgeries Stallings has had on her right arm to allow it to function. Twenty percent. That’s how much function the Indianapolis native has of her right arm now. 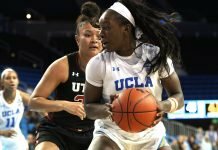 The number of female high school basketball players who go on to play in college, is 3.8 percent, according to the NCAA. Then there is 1.2 percent: that’s how many of those athletes play at a Division I school. Zero. That’s how much scholarship money Stallings has received to play at Purdue. A leader on her high school basketball team, which peaked at number two in the nation her junior year, it seemed clear from the outside Stallings could play at a high level. Yet colleges were hesitant to recruit her, for an obvious reason. Due to complications at birth, Stallings was born with a brachial plexus injury to her right arm. The brachial plexus is a network of nerves that sends signals from the spinal cord in the neck down to the hand. Initially, Stallings didn’t have much function of her right arm, and even now, she has limitations. She also has trouble using her right arm to dribble, but can use it with her left-handed shot. While Stallings said she grew up self-conscious about her arm, her brother Wade never thought about it. Wade may not have noticed, but opponents always did. 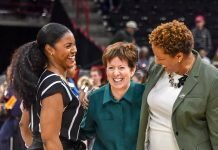 Stallings grew accustomed to the common refrains from the other team: “Force her right, don’t let her go left” echoed through every gym she played in. Stallings learned to not just play with her injury, but to excel. Teams could try to force her right, but she always found ways to score. 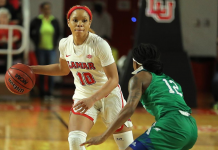 She was a four-year starter for her school, and averaged 11 points per game as a sophomore and junior, and 14.7 in her senior year. But despite that success, she didn’t see much recruiting interest. “I think the biggest set back for coaches when looking at me was looking at my right arm and how they felt like that was a huge liability,” she said. Local mid-major IUPUI offered Stallings a scholarship, and she was interested. But a conversation with Boilermaker coach Sharon Versyp gave her pause. Ajah Stallings practices with the Boilermakers. Photo courtesy of Purdue Athletics. A preferred walk-on is a player without a scholarship, but a guaranteed spot on the roster. They receive the same perks as any other player on the team, but do not receive an athletic scholarship. Walk-ons under Versyp have been rare, as she had had only one in her first 11 years with the program. The first to accept the role was Abby Abel, a senior on this year’s team. “There are a lot of kids who wanted that, but they haven’t had the ability or there hasn’t been the relationship, or they haven’t brought as many things to the table,” Versyp said. The decision to extend a roster spot to Stallings wasn’t difficult, according to Versyp. “(Ajah) always had great leadership, great attitude, (and) obviously is a very good basketball player,” she said. The offer was a dream come true in some ways for Stallings, who had always wanted to go to Purdue for their pharmacy school. Yet, fear plagued her. With fear and doubt gripping her, Stallings initially refused to consider the offer from Versyp. Stallings realized playing with her injury was nothing new to her, just to other teams. Yet Stallings didn’t reach her decision completely on her own. “Coach Versyp just has a way of making me feel confident about myself and my abilities, and when we talked about this I got the vibe she believed in me and when a coach believes in you, you have to commit,” Stallings said. While the endorsement helped Stallings ease her doubts about her arm, Versyp said she never worried about it. 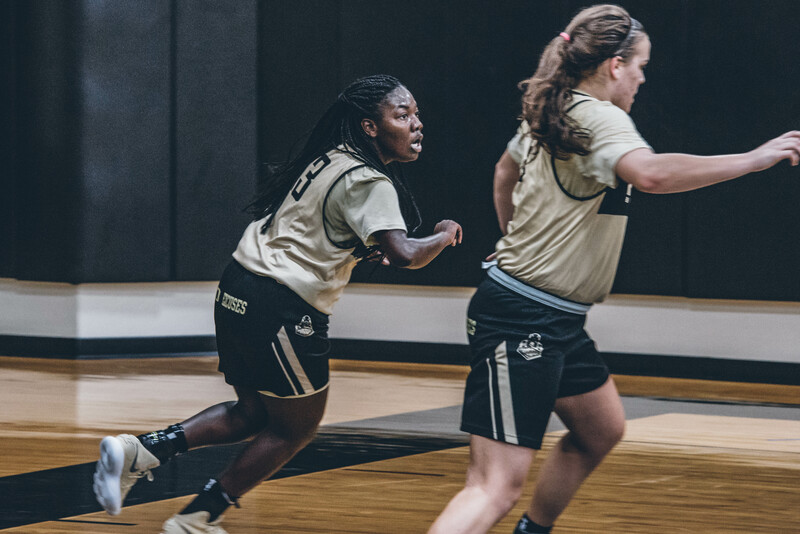 Stallings has loved her time at Purdue so far, and isn’t worried about potential stigmas that comes with being a walk-on. “A lot of people think preferred walk-on, ‘she must not have had any other things’ and I did, but I saw Purdue and everything it had to offer with the teammates, the atmosphere and it was a no brainer to me,” she said. Abel, who helped set the path for walk-ons, has aided her. Abel received a scholarship for her second semester freshman year, and then earned a full scholarship her junior year, something Stallings is trying to replicate at some point in her career. For now though, Stallings is focusing on improving as a player and helping the team, in any way she can. Ajah Stallings and her mother, Reatha Mayfield-Stallings and father, Wade Stallings. Photo courtesy of Purdue Athletics. “Whether it be hyping them up on the bench, or locking down one of the best players, or just making sure my teammates always feel confident, I feel like one of my biggest roles on this team is to bring everybody together, bring energy,” she said. Three, 20 percent, 3.8 percent, 1.2 percent, $0. But one more number is necessary to really tell Stallings’ story. One hundred percent. That’s her investment, commitment and excitement in being a preferred walk-on for Purdue.